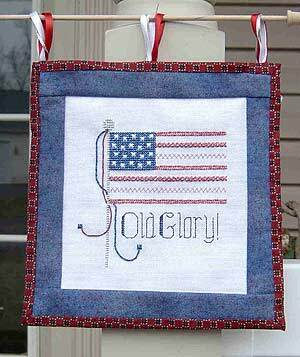 Here's a fun no-sew quilt block you can attach to a quilted background. Use your child's drawing printed onto muslin, or create your own design on a piece of fabric. 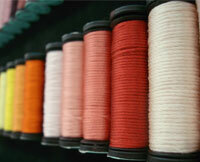 When you add beads, tape and thread, the result is 3-dimensional fun. 1. 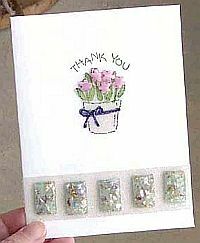 Remove the white backing from your 8x10 sheet of Treasure Tape. Lay the muslin fabric on the sticky tape, with the front side facing the tape. Smooth out any bubbles. ribbon back and forth for a fun border effect. 4. Lay the white pom pom trim next to the red ribbon, pressing into the tape to make sure it adheres. 5. 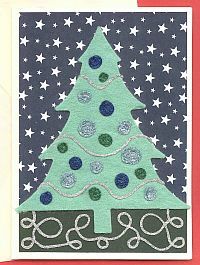 With your other piece of 8" x 10" tape, cut out a star shape the same as your blue star fabric (use copy paper as a template if needed). Remove the white backing and lay the blue fabric on the tape, printed side toward the sticky tape. 6. Lay this blue star in the center of your block, pressing into the taped piece of muslin to make it smooth and free of ripples. Remove the red liner on the star shape. 7. Lay the red, white and blue 1/4" ribbon all around the edge of the blue star. 8. 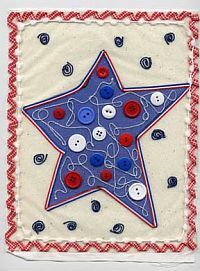 Lay red, white and blue buttons on the blue star. 9. Lay the silver Tapestry braid in swirls or curls or wavy lines all around the buttons in the blue star area. 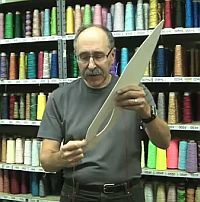 Press the thread into the tape to make sure it adheres. 10. Lay the navy Tapestry Braid in swirls all around the remaining areas of the muslin, as shown in our photograph. 11. When thread decorating is complete, lay the design in a shallow pan or tray and cover all remaining areas with Diamond Beadlets. If you have trouble printing this page and would like us to send you a printed copy send a #10 SASE to: Star Quilt Block, P.O. Box 1258, Parkersburg, WV 26102.